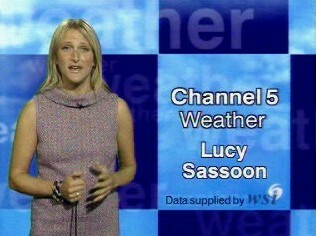 With the new look for the News, came a new look for the weather, this time, we come inside. 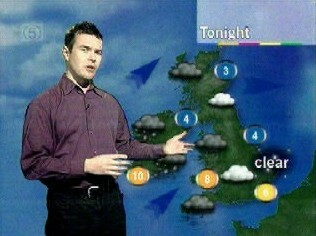 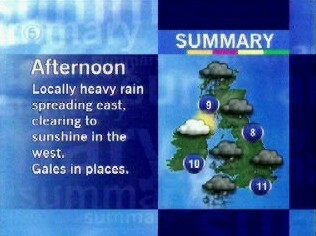 Name graphics used to introduce the weather presenters. 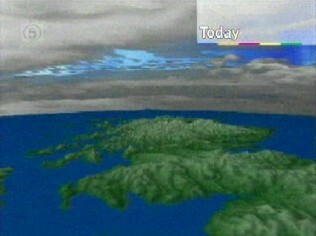 A quick peview of the weather with a fly through. 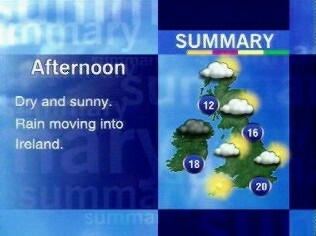 Examples of the weather and temperature symbols. 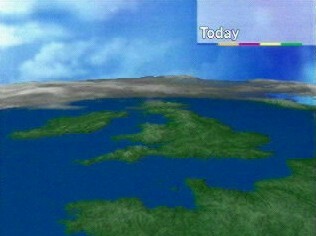 Examples the graphics used for the outlook for the next few days.